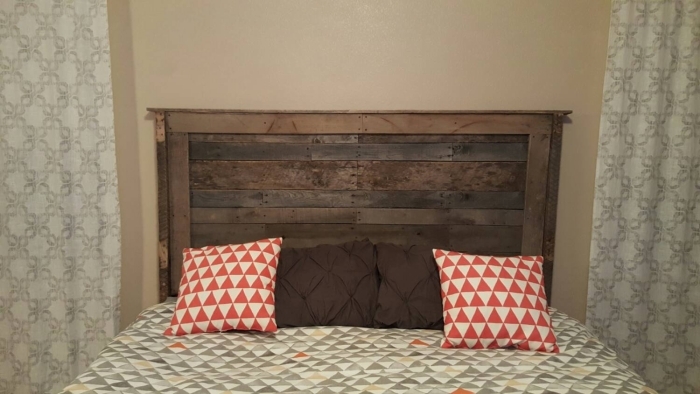 The pallet headboard is made from recycled pallet wood. The support frame is made from 2×2 wood and reclaimed pallet wood for the top, front and legs. 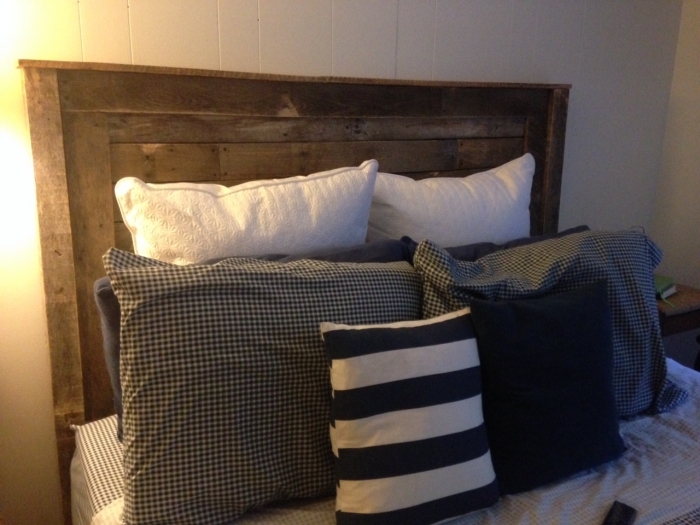 I like the look of weathered wood and love the way it looks on the headboard. 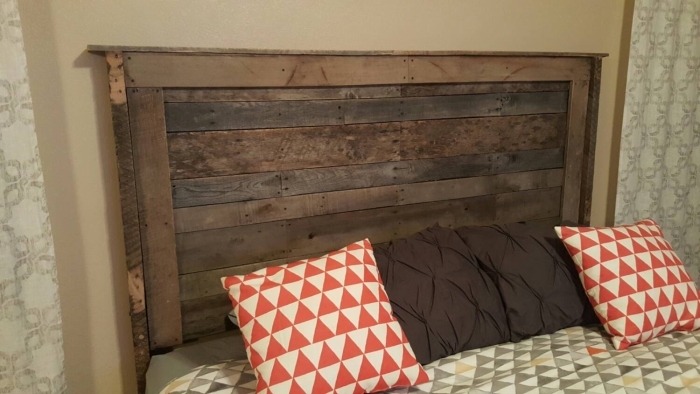 Not all of the headboards are the same due to variations in pallets and woods. The headboards pictured are a darker brown wood. The legs are removed for shipping and installed by the customer with supplied bolts, washers and nuts for a secure fit. I lightly sand the headboard to remove any splinters or rough spots and to to give it more of a finished look.